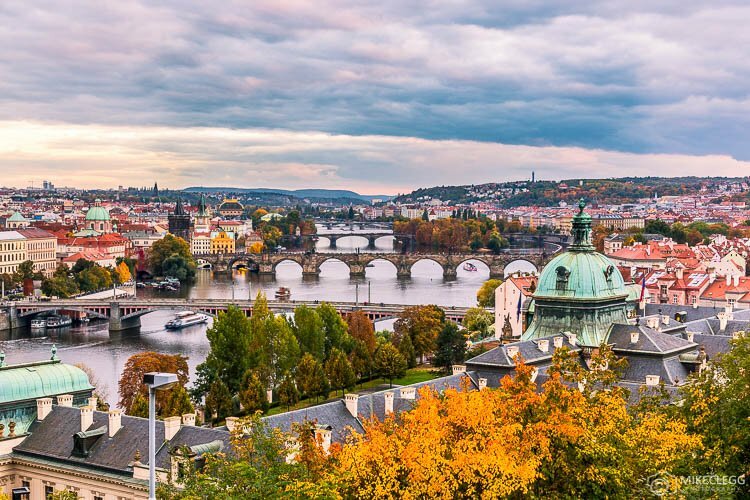 Prague is one of the most beautiful and picturesque cities in Europe. It’s full of amazing architecture, towers, spires and hills, and is the perfect place to go and explore. The city is good for tourists and photographers and provides plenty of fantastic viewpoints across the city and in the hills. 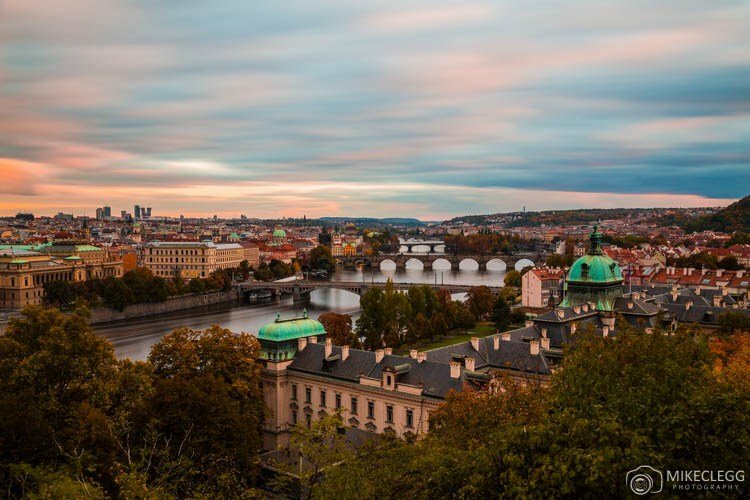 Here are the best viewpoints in Prague that are great for taking photographs. 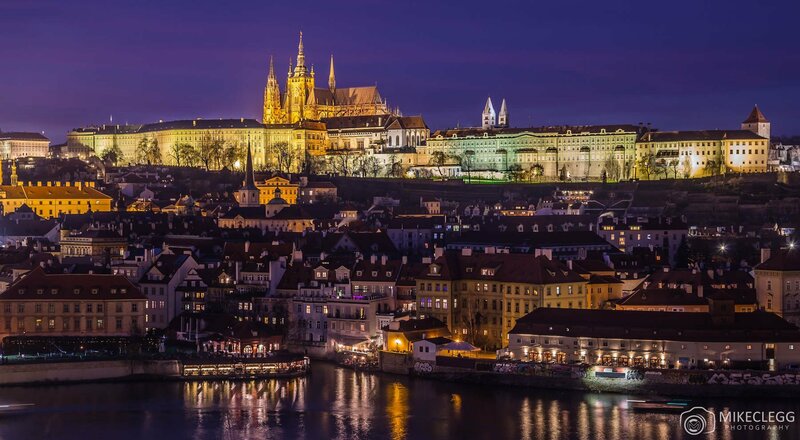 The Tower at Old Town Hall provides panoramic views of the city, and in all directions, you will be in for a treat; With the main square and Church of Our Lady before Týn in one direction, Prague Castle in the other direction, and incredible rooftop views from the other sides. At Christmas, this tower makes an even better viewpoint overlooking the Christmas market as seen below. Read my post Photography: Christmas Markets and Lights for some tips. Best time to visit: Any time. It’s especially nice at night. 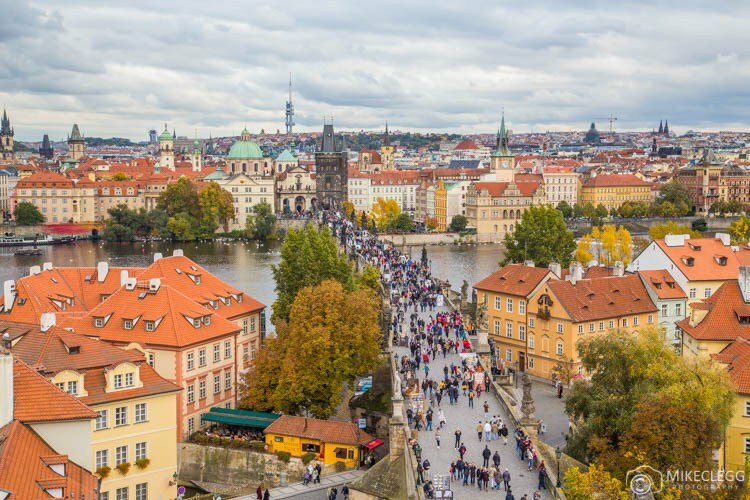 From the Old Town Bridge Tower, which is at one end of the historic Charles Bridge, you will get views across the bridge towards the Lesser Town and Prague Castle. It’s also a great angle for watching the many thousands of people constantly crossing. This spot I think it particularly good for taking pictures around sunset and the blue hour. On the other side of Charles Bridge you have the Lesser Town Bridge Tower. This makes for beautiful views towards the Old Town, especially in the winter when there is snow on the roofs, or in the autumn when the trees change colour. Letná Park provides some of the best views of the skyline. 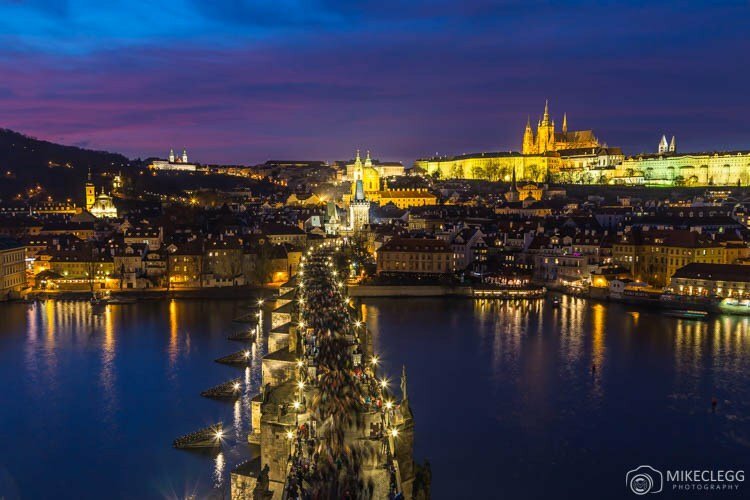 From here you can see along the Vltava River and many of the bridges including Charles Bridge. This spot is particularly good for sunset and the blue hour as seen below. From this viewpoint you will find the Hanavský pavilon which serves as a restaurant. You can find details about the restaurant on their website hanavsky-pavilon.cz. 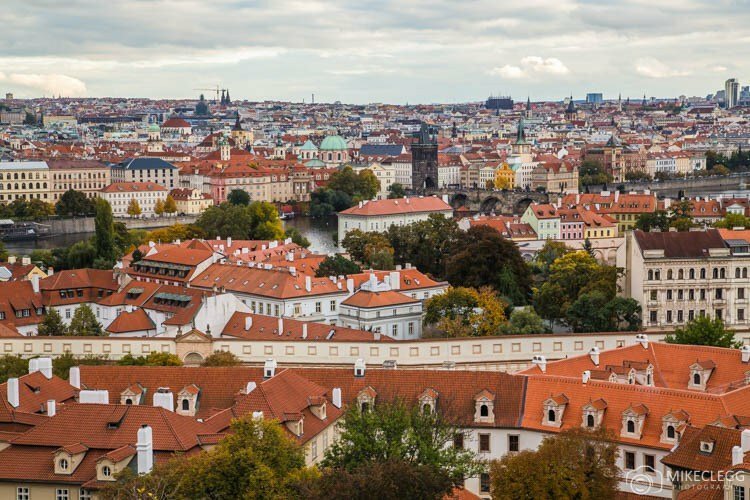 If you choose to walk up to Prague Castle you will find plenty of great views from the walls such as below. There are walls at both ends of the complex offering a slightly different perspective but my favourite is from near “The Black Tower”. This is also a great sunset spot. On Old Town Square is Hotel U Prince. This hotel has a rooftop restaurant providing amazing views of the Old Town Hall and Church of Our Lady before Týn. During the summer months, this is the perfect place to sit outside and eat whilst enjoying the view. In the winter you can also get up here and will be able to get beautiful snowy views, although the outside patio may not be open for dining (please check with the hotel). To contact or book a reservation head to their website hoteluprince.com. 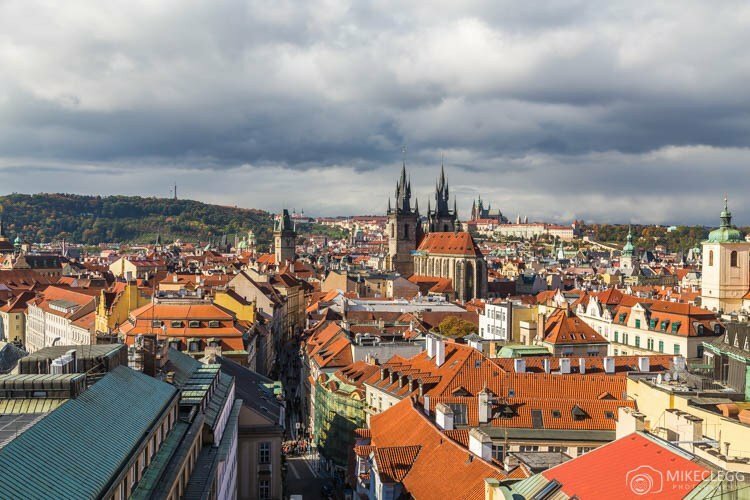 This Medieval tower will provide views towards the Old Town where you will see the Church of Our Lady before Týn, Old Town Hall Tower, Prague Castle and other buildings in the city. At night this view is particularly beautiful when all the buildings are lit. 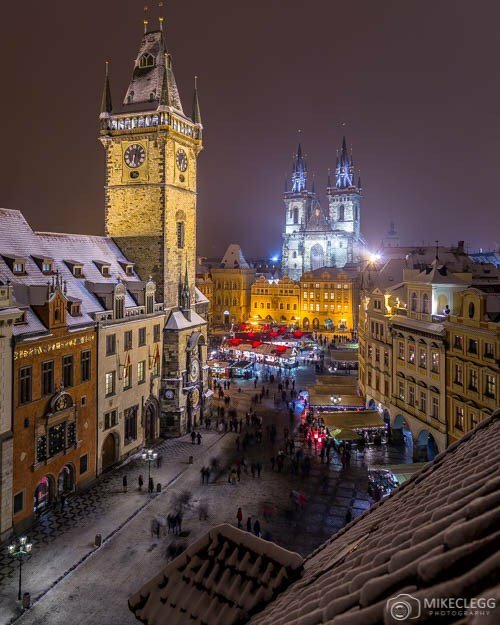 One of the best views of Prague is definitely from the tower of this beautiful church. You have to climb a fair few steps to get up but it’s definitely worth it. When going up you’ll be able to visit two viewpoints, with the first being outside, and the second looking through windows. I personally found the higher viewpoint disappointing and not worth the effort as you can’t really get a good view out the windows. Here is another viewpoint that I haven’t had the chance to explore yet, but may be worth you looking into. 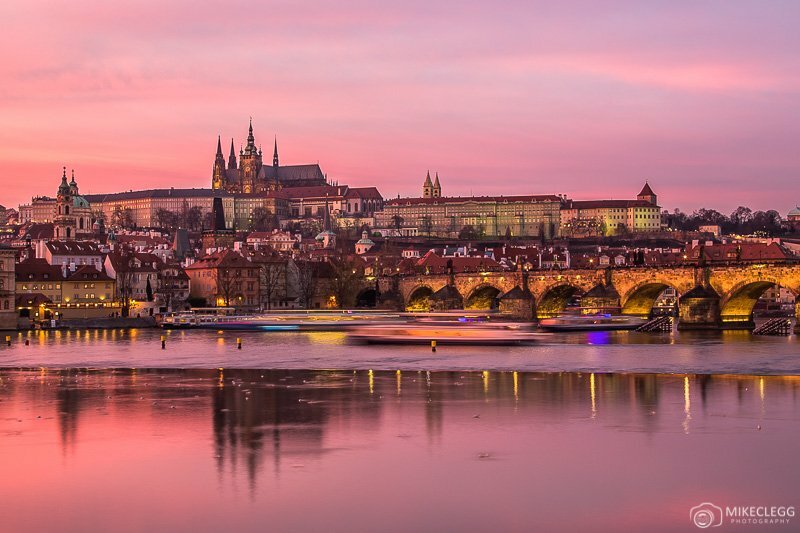 Prague is one of the best cities to visit for travel photography. Having so many great viewpoints around the city makes it so much easier to capture those killer shots. Do you know any other good viewpoints? 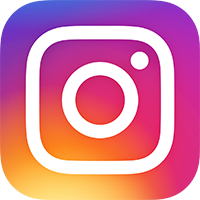 Please leave a comment and let us know. Prague Towers (excluding Old Town Hall): en.muzeumprahy.cz/prague-towers. If you want to travel by bus, a good company is FlixBus which I use all the time. For accommodation head to booking.com. Disclaimer: Please ensure you check official websites for opening times, prices and for any closures. 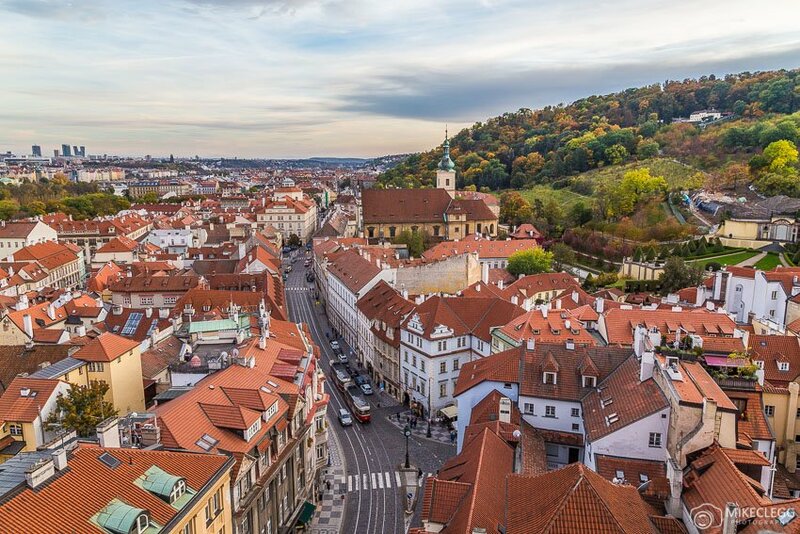 Hey Buddy!, I found this information for you: "The Best Viewpoints in Prague". 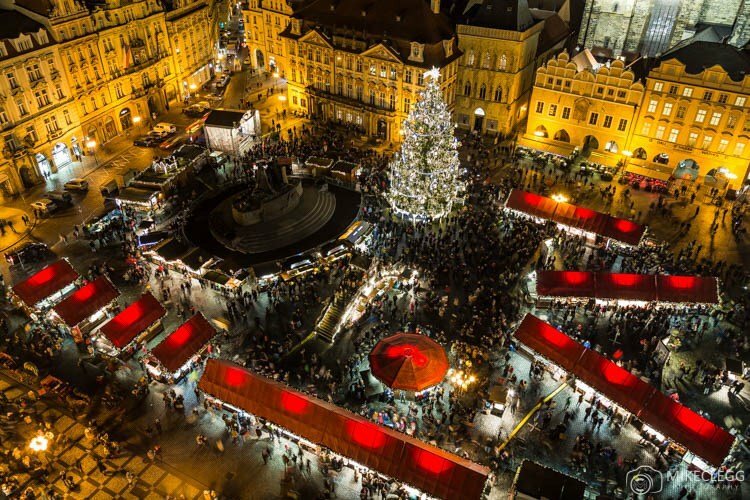 Here is the website link: https://www.travelanddestinations.com/best-high-viewpoints-prague/. Thank you.